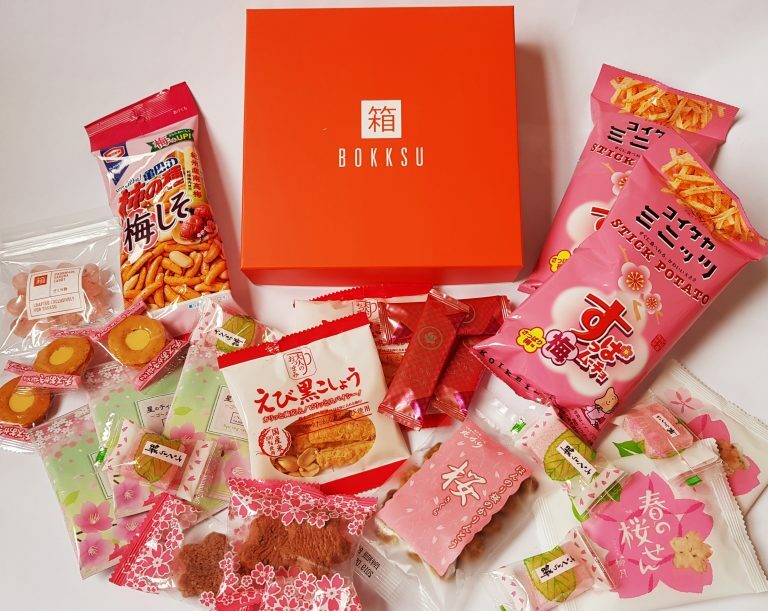 Bokksu is the only Japanese snack box that sources directly from snack makers in Japan, so many of our artisanal products cannot be found anywhere else. Start your cultural journey through Japan by subscribing to Bokksu and receiving a curated box of premium Japanese snacks and teas delivered to your door every month. They have two levels of subscription: the Tasting, which is smaller, and the one I have received, The Classic. 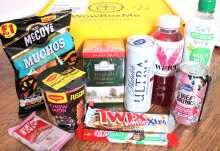 Subscriptions are prepaid for one, three, six, or twelve months.For the Classic box they work out at $39 (around £30), $37, $35 , and $33 per month.As usual, they are priced in dollars, so GBP conversion is according to today’s exchange rate. Obviously this will vary, but it gives you some idea of cost. 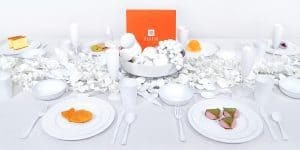 I really like the bright orange box, and the quality is good enough to be reusable as a gift box. 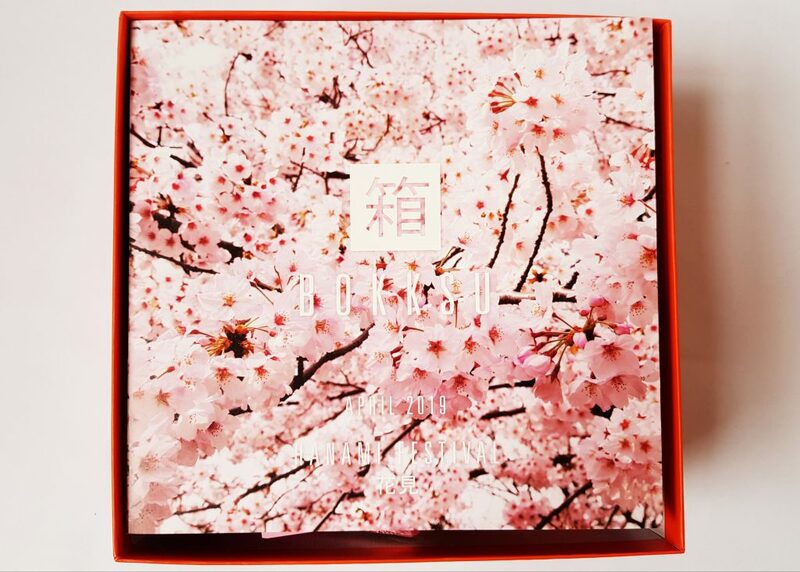 This box celebrates one of Japan’s most famous seasons: Hanami, which is getting together with loved ones to picnic and visit the beautiful cherry blossoms for which Japan is famous at this time of year. 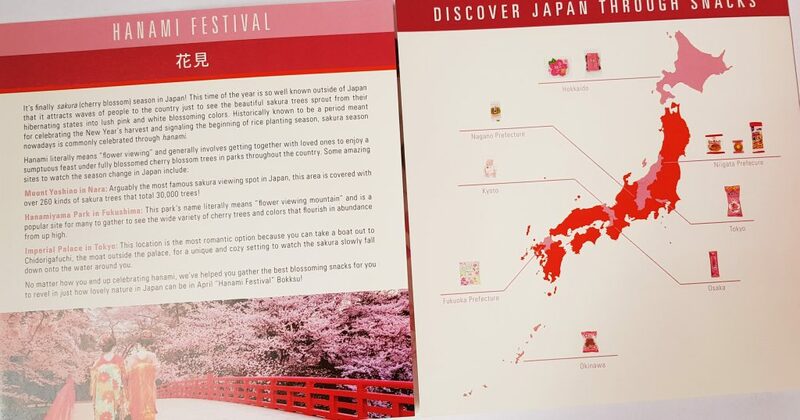 You can learn a little bit about the Hanami festival, and the menu also gives you a little map that shows you where each of the snacks are sourced. Each item is detailed in the menu. As well as descriptions, there is also an indication of vegetarian items, as well as an extremely useful allergen guide. Do you see how everything is cherry blossom pink? 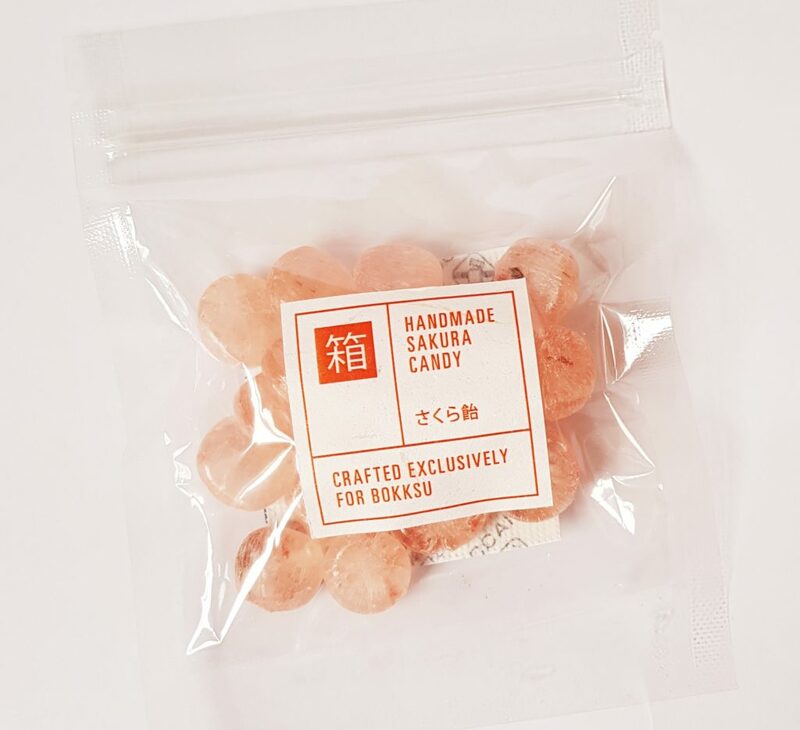 Recently Bokksu has started including exclusive hard candies in their boxes, and this month’s variety is Handmade Sakura Candy. 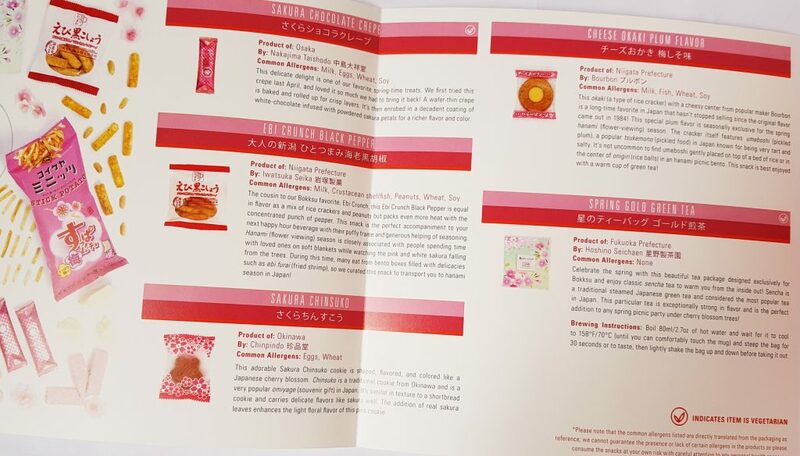 These special candies dissolve in your mouth, and contain pieces of real preserved sakura! 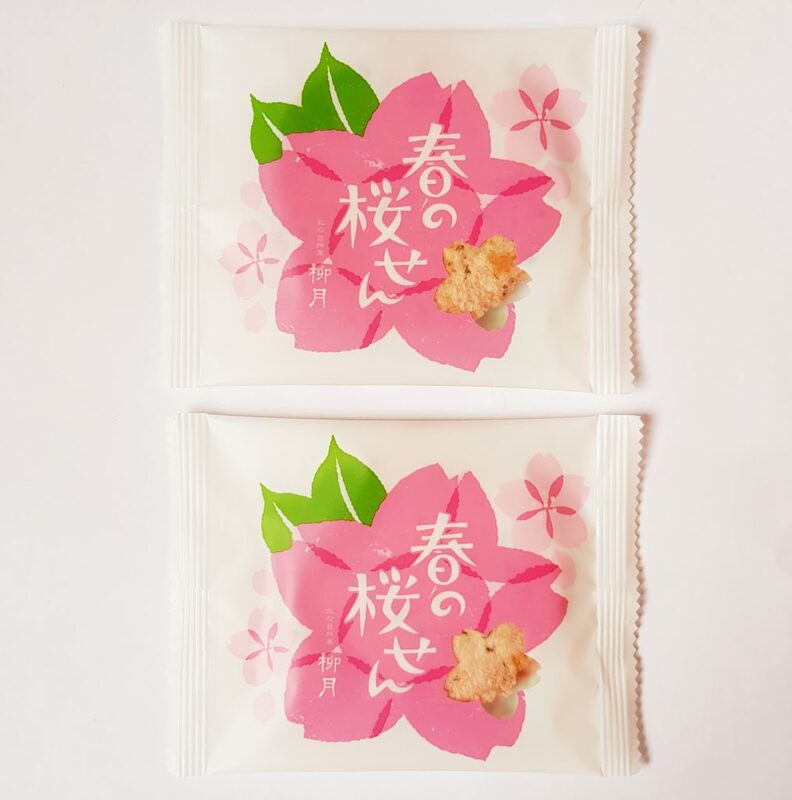 This Spring Sakura Senbei has a sweet and savory flavour from squid, pickled sakura blossoms, and mirin! Very flavourful and uniquely Japanese. 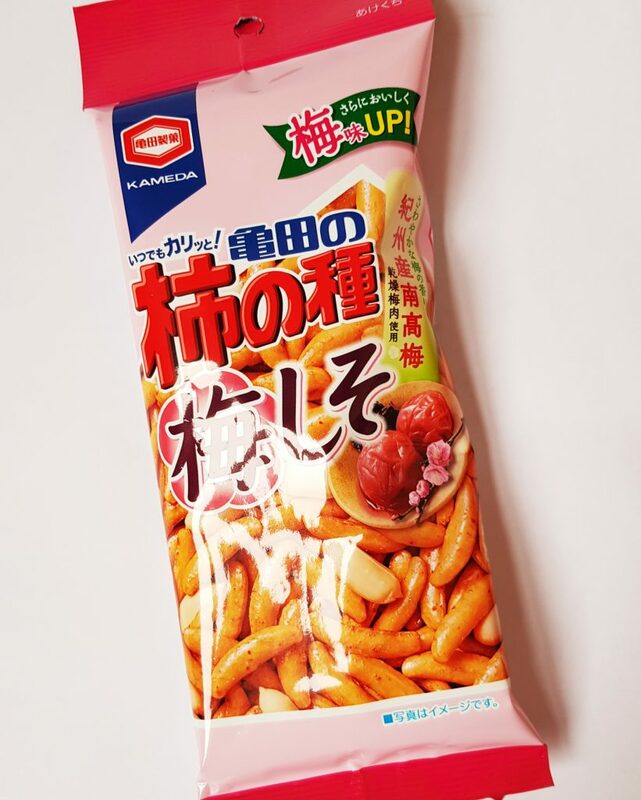 Kakinotane Plum Shiso are the classic Japanese snack mix of peanuts and tiny senbei (rice crackers) with a flavour combination of Japanese sour plum and Perilla leaf. This snack is often eaten with beer, but is great for any occasion! Soft sweet mochi – soft rice cakes – are a favorite treat in Japan. These little Sakura Mochi are flavoured with cherry blossom for the perfect seasonal treat! Here is another traditional snack with a sakura twist. 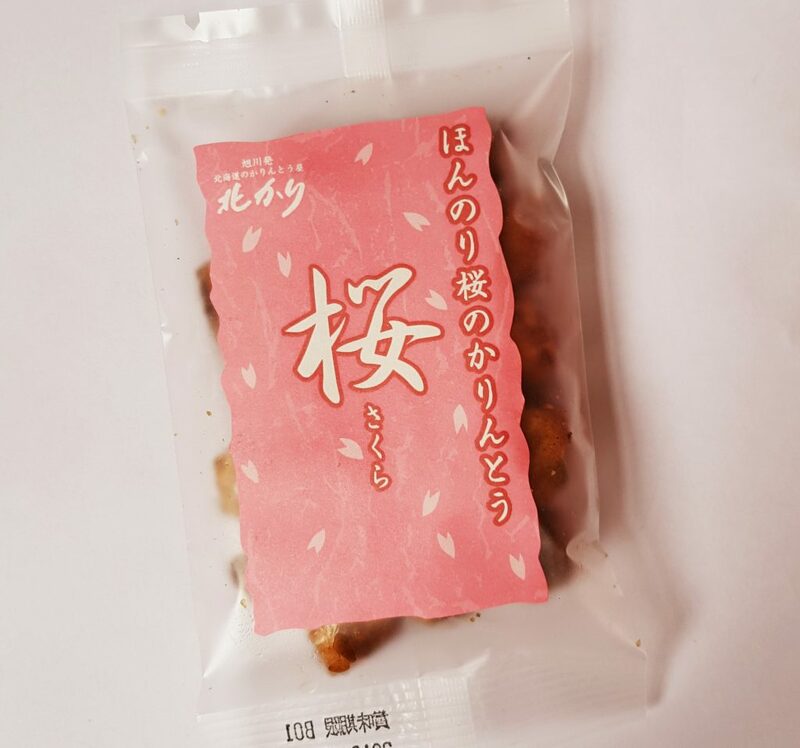 Sakura Karinto are a fried dough snack with a brown sugar coating, which are usually shaped like a cylinder. 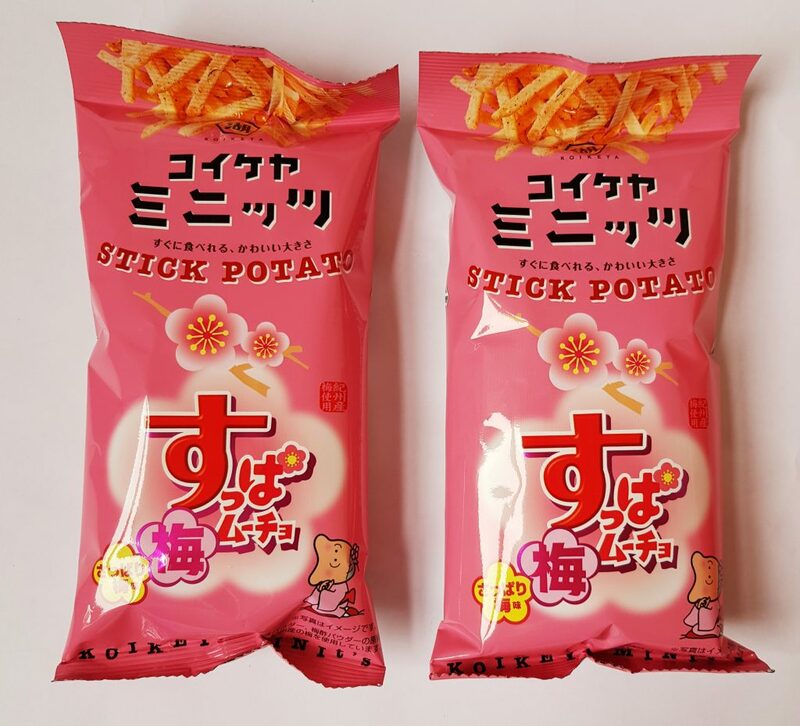 This limited edition version has a subtle sakura addition, and is made into small balls rather than the more usual sticks. Not cherry blossoms this time, but ume, or plum blossoms! Suppa Mucho Plum Potato Sticks are flavoured with pickled plum and perilla leaves. Perilla is from the mint family, and has a grassy and slightly aniseed taste, and goes nicely with the sour plum. An unusual but very tasty combination. Sakura Chocolate Crepe are deliciously crispy. 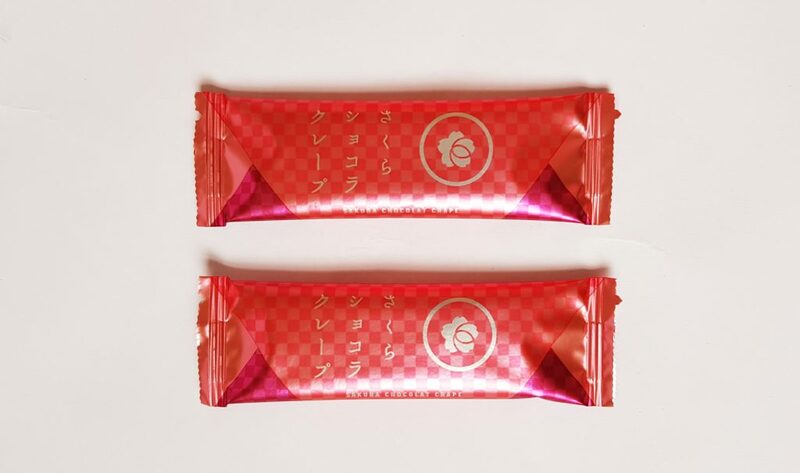 They are a very thin rolled cookie with a coating of sakura-infused white chocolate. This snack manages to be both very light and very rich! 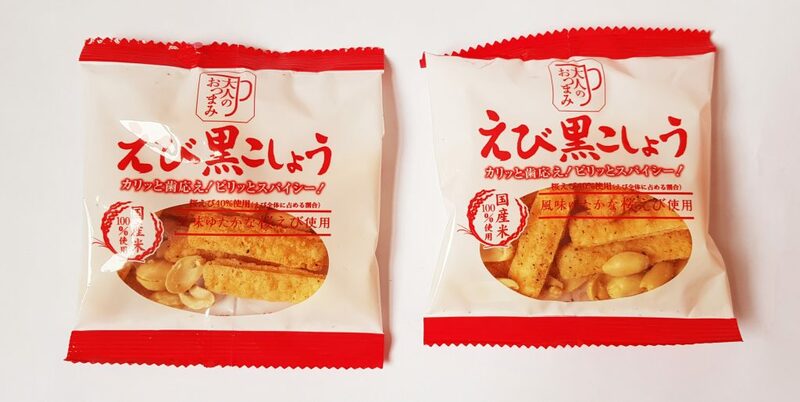 Another popular beer snack, Ebi Crunch Black Pepper is a spicy black pepper mix of rice crackers and peanuts, with the addition of shrimp flavour! These cute little cookies are Sakura Chinsuko. They are rather like shortbread in texture, and are both flavoured with and shaped like cherry blossom flowers. Cheese Okaki Plum Flavour is one of the more unusual snacks I’ve seen. It’s a rice cracker with a cheesy centre, and this seasonal variety features picked plum flavour, for an extra tart and salty taste. Finally, this month’s tea is Spring Gold Green Tea. 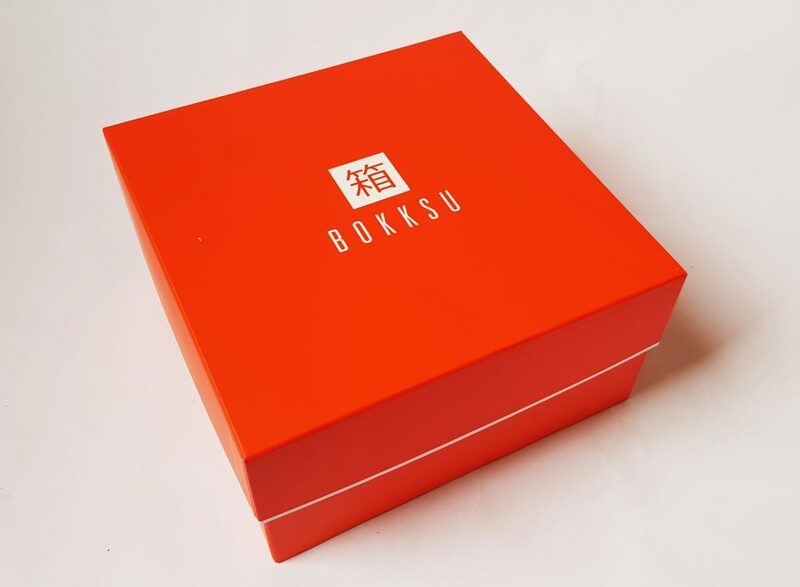 The packaging has been specially designed for Bokksu, and contains a famously strong version of sencha tea. Perfect for sipping under the cherry trees! Sakura is a wonderful seasonal flavour, and it’s such fun seeing all the different ways it can be used! The flavours this month tie in to the season beautifully, and the addition of a few sour plum items give some extra variety. The chocolate crepe cookies are definitely my favourite this month; I’ve tried a plain version before but the sakura flavour is a fantastic addition! 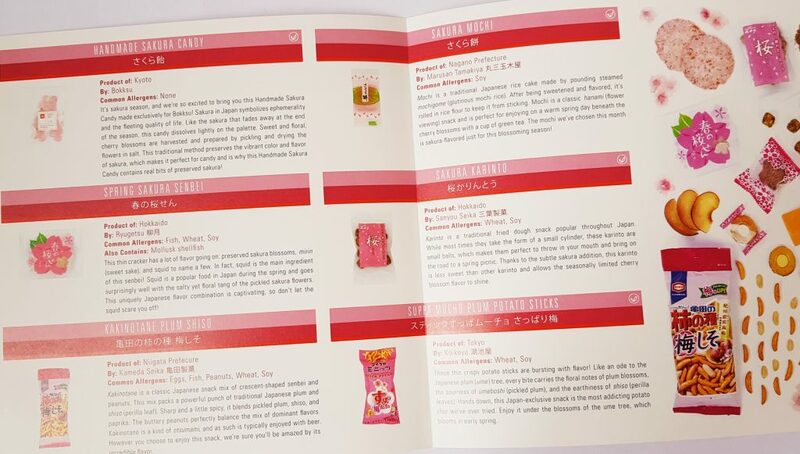 There are a couple of items that contain shellfish that I’ll have to pass on, but I’m really glad I can eat the Kakinotane beer snack, because savory snacks always have interesting flavours. What a fantastic seasonal selection, and even the colourscheme is that of cherry blossom! A terrific range of flavours and textures, all keeping with the wonderful theme. A real gourmet treat! How would you rate Bokksu ?